IRIS Network is pleased to announce call “Assisting civil society organizations (CSO) in acquirement of licenses for provision of social services – fulfillment of quality standards in SEE in scope of the project” aiming to provide mentoring services for the CSOs in process of licensing of existing social services. Since several target countries from SEE region have adopted quality standards for social services and introduced the licensing of social services, CSOs are faced with lack of resources to prepare documentation and fulfill standards in order to be able to use public funds for financing. Moreover, the state does not perceive CSOs as an equal partner if they are not able to fulfill the standards needed for licensing. This is influencing state-civil society dialogue at all levels and damages legitimacy, transparency and accountability of CSOs which are providing social services. Part of capacity building process will be engaging of experts for specific sectors in order to consult CSOs in preparation of required elaborates and reports. At least 15 CSOs providing social services will be assisted in their licensing process. Application form and Guidelines of the call are available from 08.02.2016. Deadline for the applications is 22.02.2016. 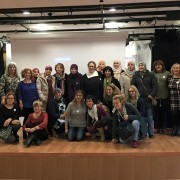 Jasmina Hasanagić, IRIS Network candidate participating in professional training in Movimiento por la Paz (MPDL) in Madrid (Spain) is spending her first week at the assignment. These are her first impressions. 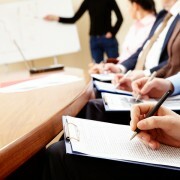 “My first week of traineeship in MPDL was very very interesting. The first day I spent in Escuela de Paz (School for Peace) where I got a lot of information about this part of MPDL program from MPDL responsible staff. Through direct involvement in one of workshops for children I had a great opportunity to see how everything goes in practice. My second day was also very interesting because I was involved in Humanitarian Aid Program which I like the most, for now. For the rest of the week I was involved in MPDL Community Meditation Program in Fuenlabrada. I had an opportunity to see how MPDL and partner organization work in the field of women issues in this area which I consider very important for my work too. Especially, I like the possibility to discuss about these issues with a real professionals and some of beneficiaries and to exchange a bit of my experience with them in this field. I have noticed that so many problems we’re both dealing are very similar and overlapping, but solutions varies. I consider this as very inspiring! Based on the provisions of the Guidelines for the Framework Partnership Agreement Support to regional thematic networks – Framework Partnership Agreements and associated Implementation Grants’ FPA meetings were organized on 26th-27th January in Brussels. 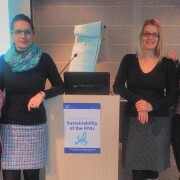 Representatives of FPA (Framework Partnership Agreement) project partners met in Brussels to discuss sustainability of their actions and to brainstorm about recommendations to DG NEAR for supporting the sustainability of project outcomes. The conference was organized by TACSO Regional Office and attended by representatives of DG NEAR and 18 CSO networks. Sustainability overview of IRIS Network project “Improving the provision of Social Service Delivery in South Eastern Europe through the empowerment of national and regional CSO networks” was presented, as well as the main possibilities and obstacles to achieve sustainability. In the second part of the meeting, networks discussed the common aspects, challenges and possibilities in assuring sustainability of their projects’ action observed trough three key perspectives (institutional, political and financial). Within the final discussion DG NEAR provided recommendations in shaping the future CSF assistance. IRIS Network presentation at the event. IRIS Network e-bulletin distributed at the conference. SOLIDAR publication “How to support CSOs along the Western Balkan route”.